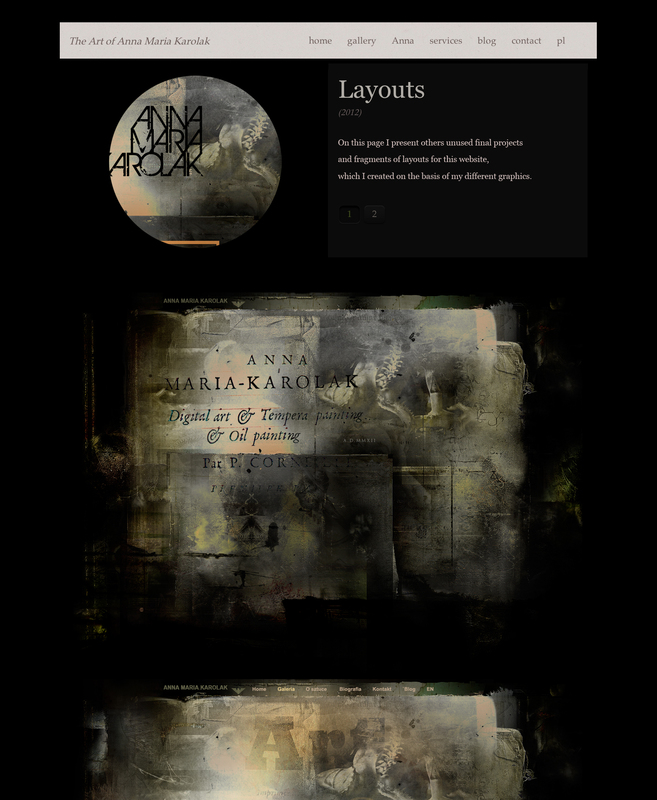 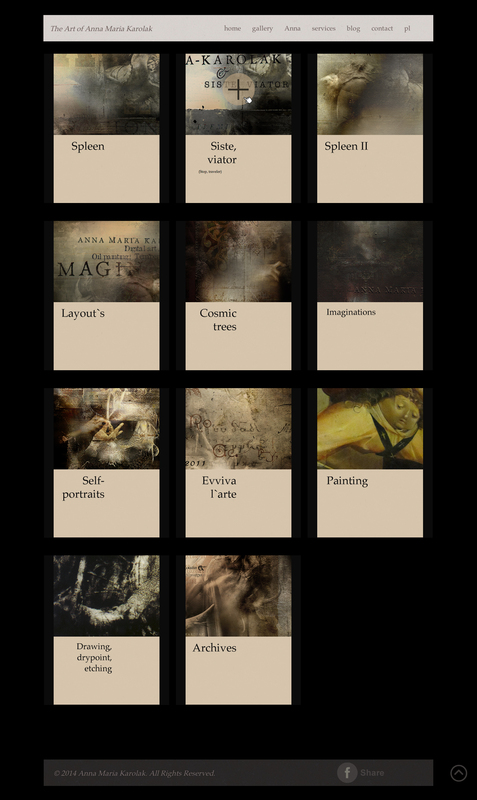 The Art of Web Design by Anna Maria Karolak | Creative Web Portfolio. 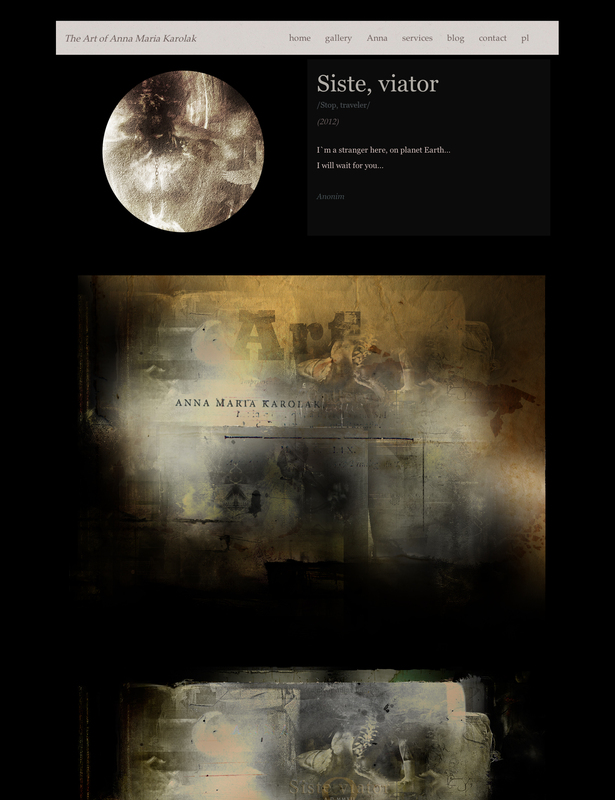 This website in 2014-2015. 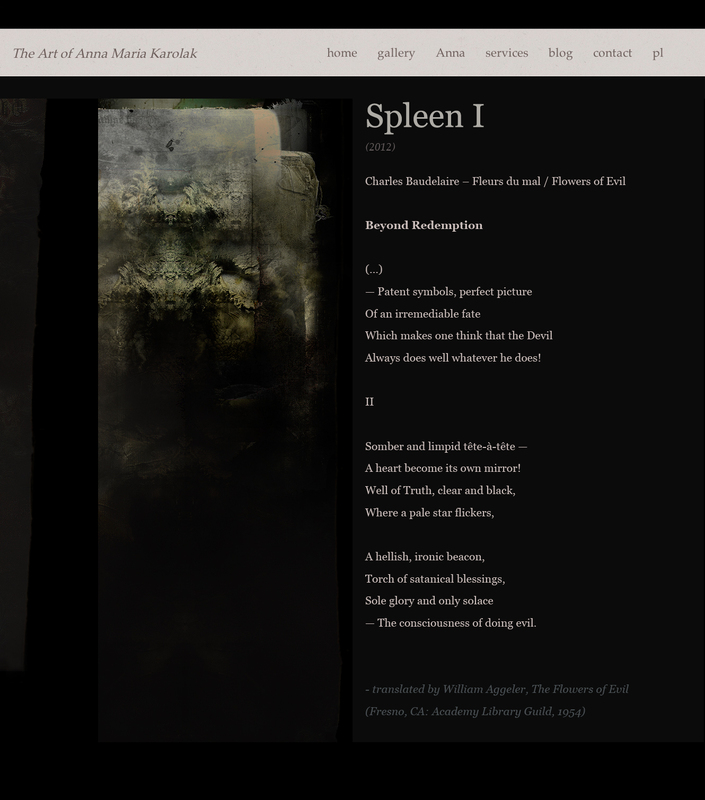 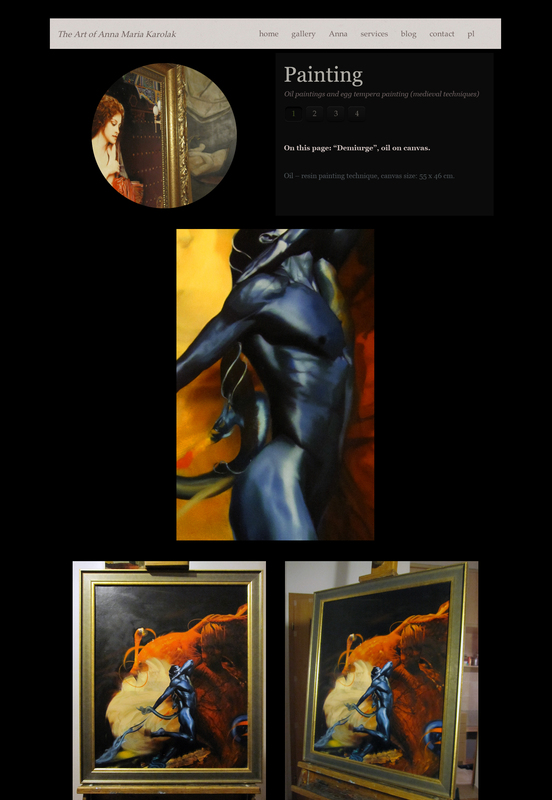 Here you can see the projects of the ‘Home’ page, ‘About’ page, ‘Gallery’ page and a few ‘Portfolio Single’ pages (whole or fragments).